Valrhona Invites you to their 4th edition Hot Chocolate Festival in NYC! 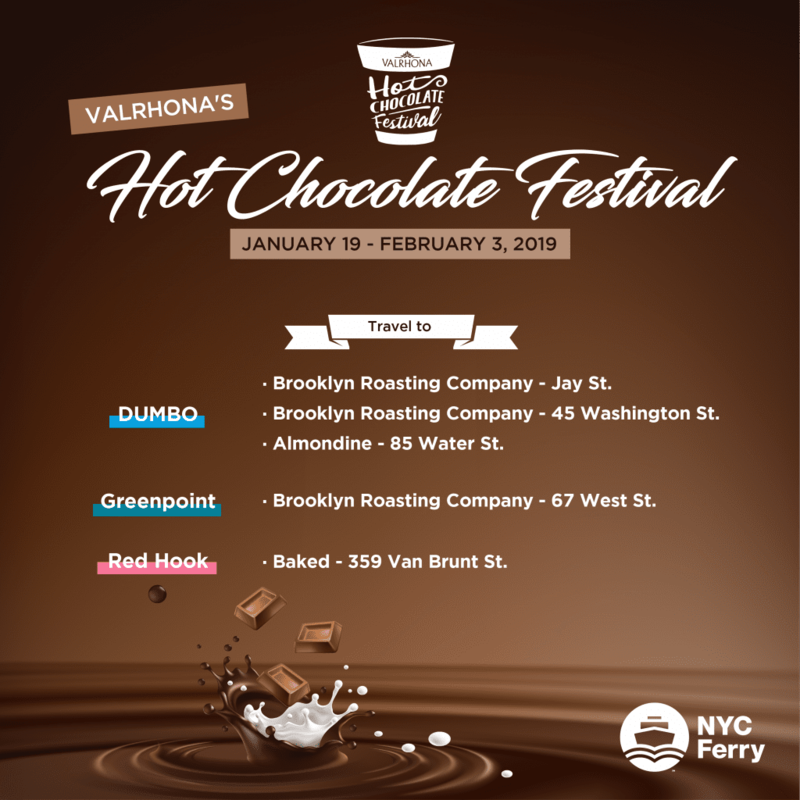 Valrhona invites you to their Hot Chocolate Festival happening in Red Hook, DUMBO and Greenpoint. Take NYC Ferry’s East River and South Brooklyn route to sip hot chocolate at participating locations. From January 19 through February 3, participating restaurants bakeries, and chocolatiers from New York will be promoting artisanal and premium hot chocolate and raising money for Food Tank, a non-profit organization that is fighting against food waste and pushing for food system change.